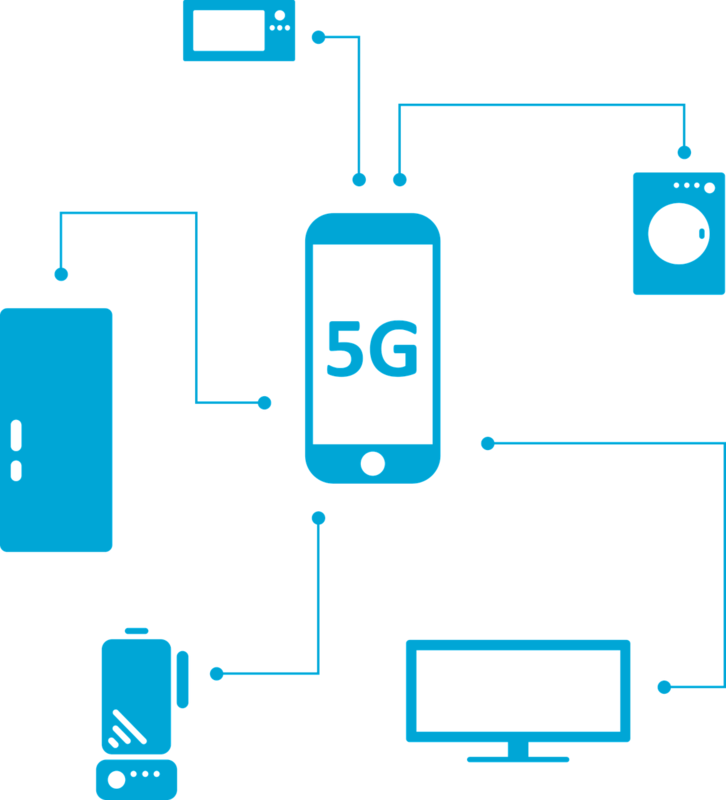 For months, major carriers have been hyping 5G networks and their potential offerings: faster speeds, more stable data connections, and (another) massive influx of Internet of Things (IoT) devices. 5G networks have been in development for a while, and they’re expected to launch worldwide by 2020, working in tandem with current 3G and 4G tech. Despite the hype, we haven’t seen much in the way of proof apart from some basic tests and fixed rollouts to certain cities in 2018. However, that’s all about to change. On April 3rd, three major telecom carriers in South Korea abruptly launched the first real 5G network — just an hour before Verizon tweeted that they launched their own 5G network in Minneapolis and Chicago. With these high-profile launches, 5G suddenly feels very real. Here’s how it’s going to affect you and your business going forward. According to a study by Ericsson, 50 percent of US customers will have access to 5G in as little as five years. 5G represents the next generation of data and will eventually replace your basic 4G LTE connection. This means drastically faster download and upload speeds. Average download speeds of 1GBps are projected to be the norm, which is very fast for mobile connectivity. The benefits of increased average speeds are self-explanatory — the less time you have to spend fighting with the internet, the more time you have to spend on running your business. One of the less obvious benefits but perhaps the most substantial when it comes to tech innovation is the reduced latency that 5G will bring. Latency is how we measure how long it takes for a packet of data to travel from one point to another. The lower the latency, the faster your device can communicate with its target. Not only is this extremely important for businesses that rely on IoT enabled devices, but it can also strengthen your company’s tech infrastructure and lower the vulnerability of your devices. 5G is expected to be very reliable when it comes to connectivity. That means your connections will stay strong and drastically cut down on interruptions. The benefits of this reliability are most clear when considering their application in devices relating to self-driving vehicles or medical support. In addition, 5G networks promise to be much more flexible then their 4G counterparts. For example, businesses will be able to create multiple virtual networks with just a single physical system. This is called Network Slicing, and it will lead to a better user experience for your customers and provide a robust and cohesive infrastructure for you. 5G is being designed to have a much greater capacity, which means that a single network can better support multiple resource-intensive items at once. HD streaming, IoT devices, virtual reality, high-speed data transfer — all these services can be very demanding. With 5G, you will be able to maintain high speeds even when multiple users on your network are running demanding software at the same time. Despite all these perks, 5G will be a benefit to your energy consumption. It’s being designed to demand less power from your devices, meaning 5G will actually extend your battery life instead of draining it faster. From secure banking and automation to digital medicine and self-driving cars, 5G will have a major impact on the world. It’s the catalyst for the jump that fast, reliable connectivity will make from our desks to practically any device on the planet, mobile or stationary. It will be one of the most impactful changes to the internet since its invention. 5G will affect everyone, from the Fortune 500 to your local grocery store. It’s important that you consider how this new technology might affect your industry, because those that are most prepared to take advantage will surely prosper.